India is projected to see an electricity supply shortfall of 6.7 percent in the current fiscal and the southern states are expected to have energy shortage of as much as 19.1 percent during 2013-14, Power Minister Jyotiraditya Scindia informed parliament Thursday. 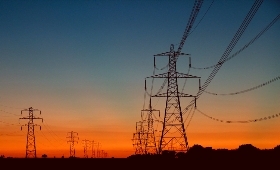 In view of the latest projections from the Central Electricity Authority, the steps taken and on-going to overcome power shortage include accelerating generating capacity addition during the 12th Plan (2012-16) with a proposed target of 88,537 MW, rigorous monitoring of on-going capacity addition and development of Ultra Mega Power Projects of 4000 MW, the minister said in a written reply. Scindia added that to meet the shortfall in coal supplies to thermal power stations from indigenous sources, the power utilities have been advised to import coal. The capacity addition in the current fiscal would be 18,432 MW with majority contribution coming from coal-based power.